That cute bumbling specter of chaos is finally graduating from the School of Not-my-hard-knocks and will be leaving us in 243 days, 3 hours, and fifty minutes. How will we ever fill the black hole he leaves behind? Surely many will want to acknowledge his departure in myriad monetizable ways. 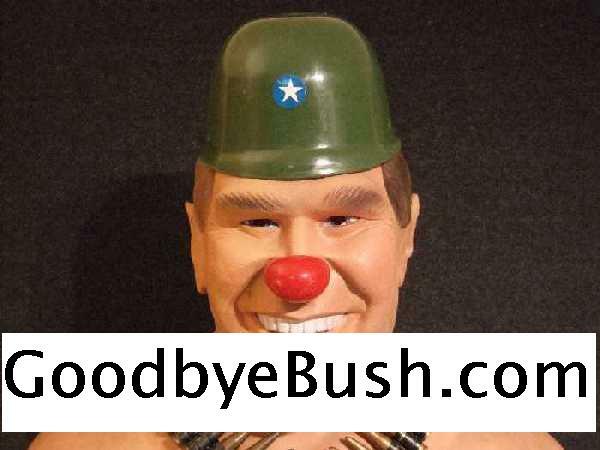 Here is where GoodbyeBush.com comes into play for the clever entrepreneur. This very desirable domain name is on auction at ebay.com until Monday May 26, 2008. This is a once in a lifetime opportunity. Happy bidding!